I'm building an F100 for Stephen Bridge and Savro and plan to have it ready for March 2011. 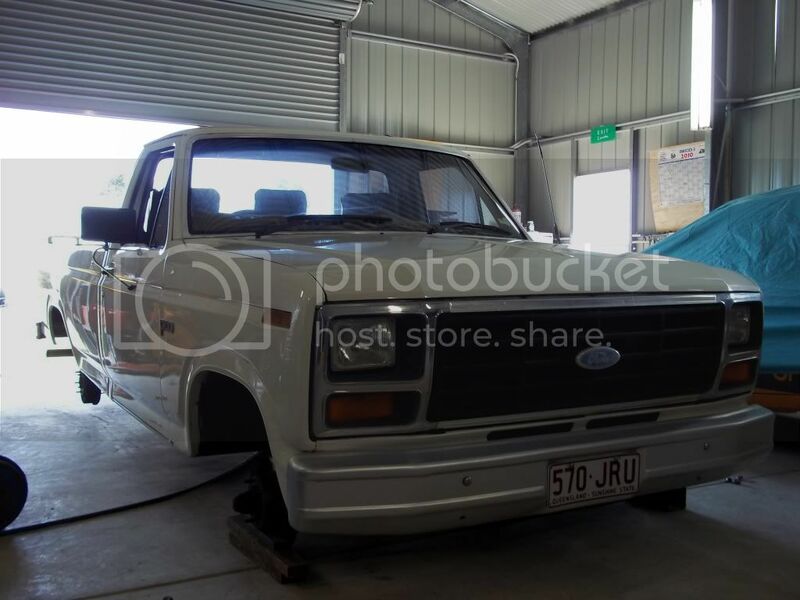 Its an 82 F100 long wheel base pickup and will be built to run in C/PP, thats C/ prodution pickup. This will be a good build to follow for anyone that is looking for an economical way to enter the sport. 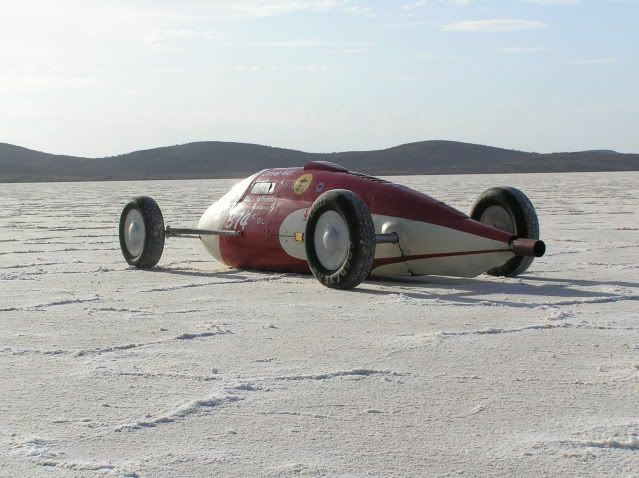 The body is not the slightest bit aerodynamic and they handle like a dog on a lino floor but lt will fit a class with a soft record. The production class limits the mods you can do so l will outline what can be done within the spirit of the rule book and this can be applied to any of the prodution and related classes. Chuck a bit of talcum powder on the lino and the whole equation changes somewhat. Looking forward to it. Don't tease us now. Began work a few weeks back. First order of business was to size the bloody thing up and create a bit of a plan and direction. My initial impression was it would be easier to race a 3 story block of flats. I suggested to Bridgey the most important thing to do is lower it, like at least by one story. Then we discussed motor options and trans and diff. It came with a stock 302 Clevo with auto and truck diff. I suggested to Bridgey it would need a bloody lot of horsepower to shift a two story block of flats so we discussed classes and he decided on C to begin. I've suggested to Bridgey the stock Clevo would make a loverly artificial reef and we might start on a race style Clevo/Windsor block. I'll build it to fit the top end of C at about 370 cubes. For trans we are searching for a toploader and scattersheild and have already ratted a 9 inch from Mals F truck. It has 31 spline axles and the wrong ratio centre. 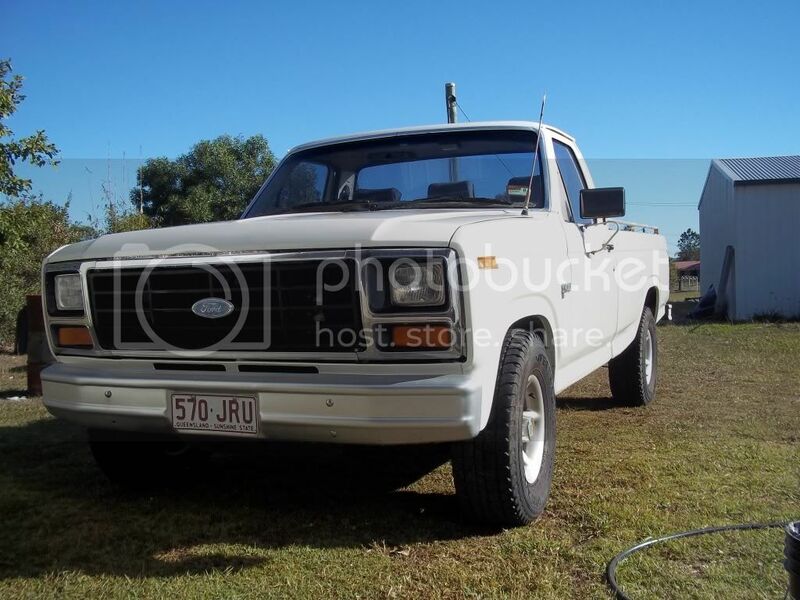 Mals an old mate of Bridgeys and has passed away but many parts of his old truck will ride again on the salt. Next was measure the frontal area. Stock as it drove in the shed it was 38.60 sq ft. I took the wheels off front and rear and dropped it to nearly the floor at the rear and a long way at the front. Where it looks about right l measured the ride heights and recalculted the frontal area. This reduced to 35.60 sq ft. It can still come down some more at the front if nessasary. This is what the true spirit of our club is about. Should be an interesting project, I checked out the drag coefficient, regular cab is 0.49 , if it's a supercab it's 0.48, that's a brick and a half! that's gonna be one sore frog. I've got a 2.75 ring and pinion in the Falcon if you're interested? Thanks Rob l don't think l'll rush out and find a supercab then. .49 thats about as bad as it gets. Doctor l think you should prescribe a very slippery personal lubricant for that frog. Lynch l think we might have found a 2.75 already but will get back to you. Hell it worked and its a big picture fancy that. Um this is stock height. Actually looks like a nice truck, make someone a nice tow vehicle. Get that dumper down about two inches off the salt I reckon.